Today’s video games are becoming more and more focused on multiplayer. FPS’s have been the genre to experience this the most. When I got my chance to try THQ’s Homefront, I was completely shocked at how little detail went into the campaign. I enjoyed the story because it was unique and hit home with me. However, it only lasted for 5-6 hours. Is that what publishers and developers think their fans want, a short offering that doesn’t even scratch the surface of the deep end? That’s not what I want. I would have liked to have seen a healthier and longer campaign that gave vivid descriptions about the story. What if I didn’t have an internet connection? The game would have given me next to nothing for the money that was poured into it. Unless I’m getting the game used, it’s going to be right around $60 for any “newish” title. Here at Empty Wallet Gamer, we strive to find games that give us the most for our money. How is such a short campaign anywhere near that amount of cash? It isn’t, plain and simple. 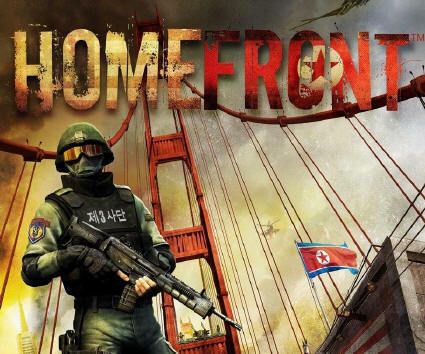 Homefront had a lot of hype, and it isn’t taking anything away from what the multiplayer has to offer, but now I’m going to think twice before giving THQ titles a shot. We tend to see this sort of thing somewhat often in FPS games, but even action games are becoming online oriented. When I was working through Assassin’s Creed Brotherhood I had so much to do within the game that the main story missions often got pushed aside for the secondary memories. Brotherhood had so much to offer and, in my opinion, is the best AC game yet. It was also the first game in the series to offer a multiplayer option. Rather than be a main part of the attraction, the online component was merely a bonus mode that gave you a nice option to go to after the main quest had been completed. With Revelations, the story mode took a backseat to the multiplayer aspect. Sure, it concluded Ezio and Altair’s tales, as well as some background on Desmond’s life, but it wasn’t nearly the time sink that Brotherhood was. When I’m playing against other players online I like to either shoot them in the face or crush them into the boards and score goals, not hide in a bale of hay and wait for them to come around the corner so I can act like a “Sneaky Snake” and kill them. I don’t know why Ubisoft deems it necessary to have to put so much effort in a multiplayer mode that gamers don’t enjoy as much as the main story. Is anyone crying “foul” over Rocksteady deciding not to have multiplayer in Arkham City? Hell no, and anyone would be fool to do so. Would it be cool? Perhaps; but it’s not worth the risk of taking away from the outstanding single player mode. AC II didn’t need any sort of multiplayer to be successful. Occasionally you’ll find a game that balances its single player campaign and its multiplayer. Uncharted 2 and 3 are great examples of this, as the story modes blow you away in high detail, and playing online doesn’t seem like a step back, or like it’s taking too much away from the single player game. If only all games could be as successful as Uncharted… if only. Then again it would be hard to critique games if that were the case. A new theme that occurs every so often are games that let online players work together to complete the main story (squad based shooters). Titles like Brink and Resident Evil: Operation Raccoon City are exactly these. While it does seem like a good idea, it usually doesn’t pan out too well for games (neither one of those were rated very high by critics). It again speaks to how publishers and developers are pushing for more multiplayer in games. Now we’re supposed to play the regular campaign online, rather than have it separated from the regular multiplayer mode? That’s not going to fly with me. As far as platformers go, Rayman Origins is a great game, but is missing the online co-op. If there was ever a genre that could use the online co-op it’d be platformers. When it comes to a FPS title we expect there to be a very good multiplayer option. It’s a huge part of the game and should always be. But that doesn’t mean FPS’s should lose their sensibility when it comes to campaigns. For the most part, games need multiplayer options. Whether it be a shooter, or a puzzler, or racing, etc, people enjoy playing games together. However, there needs to be a point where games don’t lose their meaning when it comes to the single player offering. I got so much more out of Red Dead Redemption than Homefront, so why would I pony up the same amount of money for both titles? 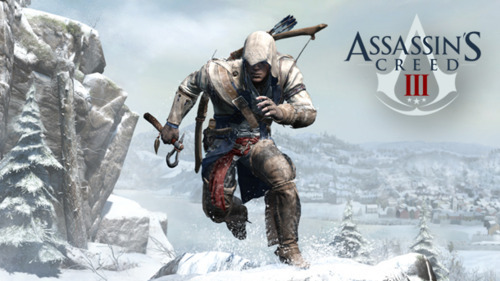 I’d prefer Assassin’s Creed III to be more like Red Dead than Homefront any day. Games need to be able to stand on their own, and not be Co-Dependent. To some of the Empty Wallet Gamer crew, we want better single player experiences. Should a game have a better single player campaign and spend less time on multiplayer components?